Commissioner John Alemán was one of those making her way back to the Beach during the official reentry period this morning. She has been on the Beach since immediately after the storm, but because there is no power at her house her family went into Miami to stay with a friend who has a generator, which left her in line with many other residents trying to return from evacuation points. Clamoring to get back, drivers had taken up the three travel lanes as well as the two shoulders on the MacArthur Causeway, meaning personnel needed for cleanup and emergency services would not be able to get in. Alemán sent City Manager Jimmy Morales photos of the problem and the City adjusted to allow residents in but forcing non-residents to circle back, clearing the shoulders for essential services. A lot of progress has been made in just 24 hours, she said, but conditions are still not optimal and, in some cases, dangerous. “A tree fell on a car that somebody got in before the resident ban was lifted,” she said. “I don’t know who they were and I hope they weren’t injured, but it tells a story of how dangerous it is … I passed this morning a wooden telephone pole that had snapped in half so the top part was being held up by wires.” In that case, she said, a police officer was on-site to ensure public safety. Her concern is people coming home too soon. “What are they coming home to and is it safe for them? 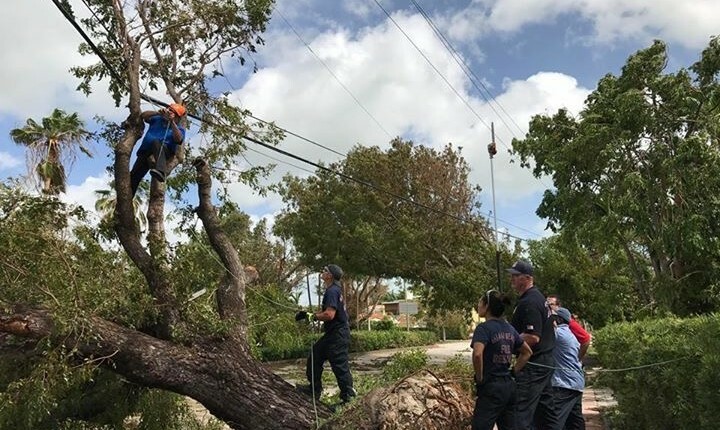 And if it isn’t, they’re putting a new demand on rescue and fire personnel, taking them away from getting the City back on its feet,” she said. Without stoplights, the chances for accidents are greater. And then there are medical concerns. “If people are not properly prepared to be back, they may have hydration issues," she said. “Many of our seniors in assisted living are coming back to no power so there’s going to be calls for medical assistance.” In addition, there are security issues with non-residents entering. All of that takes resources away from the cleanup and recovery. “If they are going to come back now, try to stay off the road. Only essential driving, please. Don’t try to drive and look around.” Those who do, “At a minimum they are slowing down essential recovery efforts,” she said. She also urges those returning to hydrate. “It’s going to be very hot over the next couple of days. The water’s drinkable.” And, if anyone is having problems with their sewer or their water, “It doesn’t hurt to over report that stuff. That’s a priority," she said. 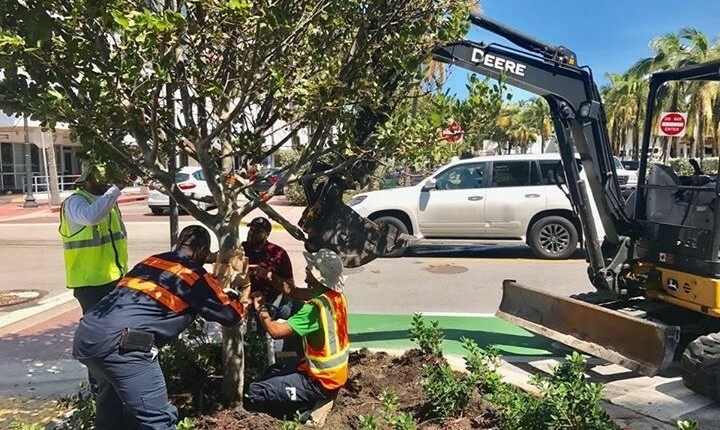 "Don’t hesitate to call [the City’s helpline] to make sure the city knows about it, can triage the problems, get them prioritized, and dispatch.” That helpline number is 305-604-CITY.